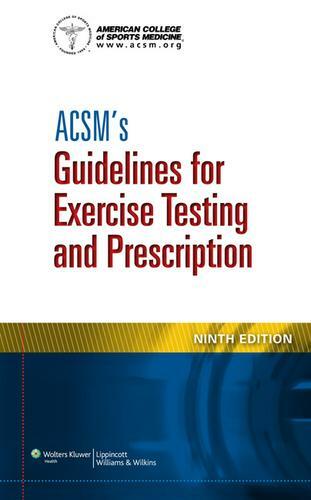 The flagship title of the certification suite from the American College of Sports Medicine, ACSM’s Guidelines for Exercise Testing and Prescription is a handbook that delivers scientifically based standards on exercise testing and prescription to the certification candidate, the professional, and the student. The 9th edition focuses on evidence-based recommendations that reflect the latest research and clinical information. This manual is an essential resource for any health/fitness and clinical exercise professional, physician, nurse, physician assistant, physical and occupational therapist, dietician, and health care administrator. This manual gives succinct summaries of recommended procedures for exercise testing and exercise prescription in healthy and diseased patients.